Next to Firefly and it’s spacefaring crew, Riddick has long been the science fiction character I’ve most wanted to see resurrected. That dream has come to pass thanks to a clever play by Vin Diesel himself. The Hollywood Reporter revealed on September 4th that Vin Diesel managed to swap Riddick rights for his cameo appearance in Tokyo Drift back in 2006. Pitch Black, released in 2000, enthralled me instantly. 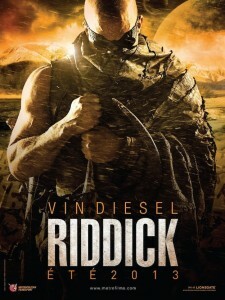 I absolutely loved the character of Riddick and couldn’t believe there weren’t reams of books or comics or something. This first Riddick movie did well enough for The Chronicles of Riddick to come along in 2004 and queer the deal. The larger budget follow-up only managed $16 million in profit. That would have been enough of a flop to kill the character if Diesel hadn’t acquired it.